QuickBooks has all of the basic features and functionality of a good POS system as well as integration with QuickBooks accounting software (that should be obvious). However, we find that this app continues to be on par with other of its class, in several ways. QuickBooks seems to be adapting fast to the market with recent improvements, like reduced prices and a new pairing with the Microsoft Surface Pro tablet. The POS market is becoming increasingly competitive, and QuickBooks is somewhat on the expensive side. Not to mention that this is without accounting for the add-ons for gift cards. However, good customer service and their ability to solve issues has made them an industry leader. The main consideration for potential users of this POS system is whether or not it stands up in comparison to many of the cheaper, easier to use cloud-based alternatives. 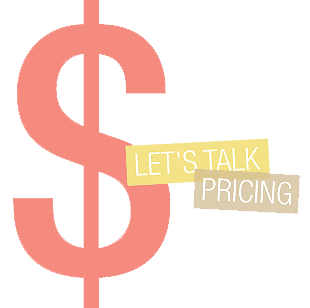 While there are benefits to having a locally-installed POS system, there is also the issue of pricing. This can become quite a burden for small-business owners, especially start-ups given the company’s propensity for updates. 1.9.1.7 I Have Used Older Versions Of This Software Over The Years For Small Business Ventures. 1.9.2.2 Customer Service Is Very Helpful. I Like The Chat And Phone Options. If you want to retain control of your back-end POS, then QuickBooks could offer the wide-ranging, extensive, feature-rich solution you need. The company Intuit has devised the software’s functionality and feature set skillfully, creating a suite of tools that is more akin to an enterprise solution than a simple virtual cash register. This software tracks employee hours and commissions, handles inventory management (complete with auto-generated POs for low stock), manages customer credit accounts. It also keeps a master list of your customers and their contact info, handles shipping, sales orders, and much more. It definitely holds its own in terms of feature matrix. On the downside, QuickBooks’ closed ecosystem doesn’t leverage the equalizing power of modern technology. When Quicken was released over 30 years ago, the great innovation was that you could manage your personal finances on a computer. In today’s day and age, that’s not so impressive. The basic mobile functionality and backups over the Internet added by the company are not the major leap forward in user experience that other cheaper and more modern POS systems offer. The license fees and costs to upgrade from one version to the next are rather high. These are precisely the kinds of things you don’t normally observe with the SaaS model. These are per-user type, floating licenses, meaning you’ll need to buy a license for each one, if you need to have more than one computer/user accessing the back-end QBPOS database at the same time. So, for instance, if you’ve got one front-end register and one computer, you might need only one license as long as both machines aren’t going to need access at once. In that same scenario, if your staff is running the register up front and you want to manage your inventory and generate Purchase Orders in the back at the same time, you would need two licenses. Visit the QuickBooks website if you would like to view a more detailed comparison of the three pricing options. As QuickBooks Point of Sale is a locally-installed software package, you will have to maintain your own hardware and take all the risk that comes with keeping your infrastructure safe and working. Installation isn’t necessarily hard. It does take some time to download and set up. This is due mainly to the limitations of the Windows operating system and Intuit’s programmers aren’t really to blame. Ideally, QuickBooks POS is suited for retail establishments, but it seems sturdy enough to handle a few other service-oriented business types. Grocery stores and other businesses selling bulk goods will find QuickBooks lacking as there is no way to generate integrated scales for selling items by weight. 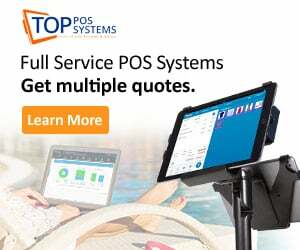 This POS system will not satisfy restaurants or any other foodservice industry that needs functions beyond simply ringing up products, especially considering the price. QuickBooks POS can meet the needs of businesses of almost all sizes. Mid-sized retail shops might be best served with what this system has to offer, while bigger chains (with up to 20 locations) could find the Multi-Store package most convenient. Intuit has made billions, and with good reason – this company knows a lot about easy-to-use software. It’s pretty easy to get going once you’ve downloaded the software. The interface will make a lot of sense if you’re familiar at all with Windows. There is a list of buttons down the left side of the window for quick access to commonly used tasks, such as receiving items and making a sale. The right side of the window shows graphically rendered sticky notes with automatic reminders of issues that need to be addressed (running out of stock, customer orders waiting to be fulfilled, etc.). You can add your own custom notes as well. The main action is between these two columns. If you click “Make A Sale”, the register screen will appear. Clicking on “Add New Item” will take you to the Inventory Module. This POS system is committed to walking you through the set-up and providing help when needed, which is among the best features of the software. 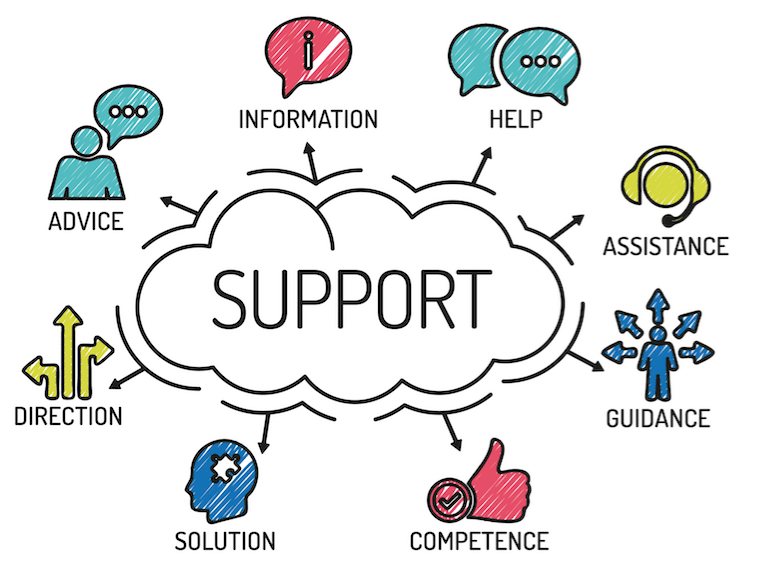 There are great help functions to assist you even if you have point of sale experience and know a thing or two about accessing and utilizing POS system features. The software itself guides the user through each process, with every task easily achieved. The integrated customer rewards program is especially easy to navigate and is one of the better implementations that we’ve seen. It is very easy to set up parameters as well. Just input how much a customer has to spend before rewards are earned and then set the reward amount. The main register screen displays some basic information about the person while you’re adding items when you attach a customer to a sale, including how many rewards / dollars they can retain. QBPOS pops up a dialog box asking if you’d like to apply rewards dollars and updates the total accordingly when it’s time to make payment and you’ve selected the tender type. QBPOS runs on Windows Vista and Windows 7 (Service Pack 2 or later recommended), Windows 8 (Service Pack 1 or later “strongly recommended”), and Windows Server 12. A minimum of 4GB RAM for a single workstation installation, 8GB RAM for multi-user. Windows Vista or higher (most computers will fit this criterion). 4 GHz processor for single users, 2.8 GHz for multi-users. To import and exporting data and other office integrations, you will need Microsoft Word and Excel 2000 or higher (excluding Starter Edit). You have to buy peripheral hardware from Intuit if you want a guarantee that it will work (if you buy it somewhere else, they won’t offer support). QuickBooks is also compatible with Microsoft Surface Pro tablet, providing businesses with more mobility. According to a statement by Intuit: “…hardware such as PIN pads and physical inventory scanners purchased from other sources may not have the required programming to work with point of sale software and/or point of sale merchant services. The basic features of the system are described below. The POS adds inventory items to a sale easily by either conducting a search by UPC, barcode scanning, alternate lookup code (ALU), item keyword, or item number. You can also create and modify “Quick Pick” buttons and groups. You can use the “Sell Misc. Item” button to make a quick sale of something that may not be included in your inventory yet, though there is a handy feature, adding items directly into inventory right in the POS interface. Custom discounts can be created and used and you can set up a layaway. Last but not least, you can put all sales on hold and return to them at a later point if you want to. QuickBooks also allows you to choose customers for your transactions or add a new customer from the POS interface. You can give customers barcoded receipts (and gift receipts) for easy returns/exchanges, and these can be made even without a receipt by retrieving sales data through the customer sales history. Functions of the Pro version include tracking sales and work orders, as well as the Document Designer, which makes it possible to create customizable price tags and receipts (e.g. with company brand or logo). QuickBooks POS will keep all your inventory organized and updated by adjusting with every sale or return transaction. The inventory module stores item description, cost, department, size, color, quantity, vendor, sales price, UPC, tax status, ALU, and reorder point. It is possible to track what’s selling well and what isn’t so you can maintain stock. Your preset reorder point means that the system to notify you when an item is running out of stock. Thus, you will be able to buy more and generate the PO to boot (Pro/Multi-store only). You can add non-inventory items such as services and fees easily to the system as well. You can set sales prices to be calculated automatically based on a preset margin of the purchase cost. This applies to markdown prices too. The style matrix lets you enter multiple colors, sizes, and attributes based on vendor, item department, and description (e.g. sizes 4 – 8, shoes in black, red, and white, etc). Every size and style combination is then automatically assigned a unique item number to enable easy editing. The Pro version also makes these additional inventory functions possible: viewing inventory turn statistics, assigning pictures to items (that will print on sales receipts, POs, and receivers) and tracking serial numbers. It also enables you to track multiple vendors (or UPCs) per item, track layaways, and view inventory items on-hand for any date specified. The system makes inventory purchase easy with its integrated purchase order function. You can scan item barcodes to automatically populate PO fields or fill in POs manually. You can then print POs out or email them. When your order arrives and it is complete and accurate, then you just accept the PO to update the new stock into inventory. If not, click on the “select items received” button – you will get the option to leave the PO partially open (for inaccurate or incomplete orders). The Pro version will generate and email POs automatically based on your preset reorder levels, set reorder points by store, provide suggested reorder points based on sales, and ship/track packages with the Shipping Manager (UPS only). As mentioned, you can track sales by customer—just enter some personal details, including a name, address, phone, email, and business. Extra custom fields make it possible to enter additional info like shoe size, birthday, or favorite animal. You can set special discounts or coupons for specific customers. With customer tracking, you can see who’s buying the most and what they’re choosing to devise special promotions and specific marketing campaigns based on the hottest items. Customer sales history makes it possible to see all purchase details. The Pro version’s customer support center provides various communication tools to utilize the full potential of your customer list. These include capturing customer addresses to create email marketing campaigns and mailing lists for labels. These tool allow you to launch mass marketing campaigns and track customer rewards program points. Thus, you’ll be able to offer better discounts and recommendations to your most valuable customers. Whether you are an established business or are about to open your shop for the first time, a seamless checkout process is very important to a positive customer service experience. QuickBooks Point of Sale integrates with QuickBooks Payments seamlessly. This integration means you can automate banking and bookkeeping and accept credit and debit cards. Here are some details about why automated payments integration is the smart choice for small business owners. Owners of small businesses traditionally find it hard to adapting to EMV chip cards. 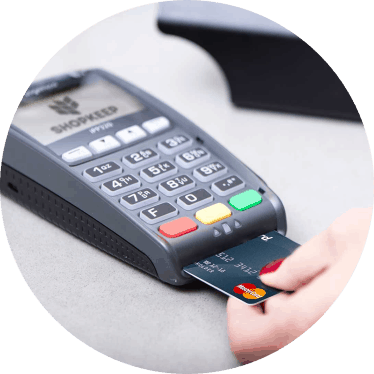 Charge back issues is just one of the many problems merchants faced following the October 2015 switch to chip cards. 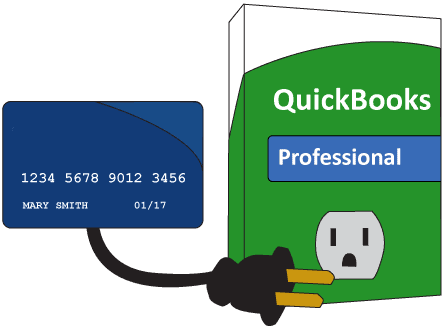 The latest desktop version of QuickBooks POS is specifically designed to accept EMV chip card payments. Your point of sale software is automatically set up to accept credit and debit cards when you sign up for a QuickBooks Payments account. The software will automatically capture transactions, type of card and credit card information, and approval code for each transaction you make. You get to bypass manual data entry by taking payments directly from your POS software, which saves time and work and lets you avoid the hassle of double-data entry errors. Your sales data will also automatically sync with your bookkeeping data if you use QuickBooks as your accounting software. Integrated POS payments save business owners bookkeeping time by automating their inventory management. This system lets you manage vendors, categorize inventory items by department, and create multiple price levels for products. This is particularlyuseful if you want to offer discounts to repeat customers. It is possible to manage inventory for multiple store locations from your central headquarters. Moreover, you can automate everything from creating financial reports to invoicing customers and performing banking activities. The Pro version tracks employee hours and commissions for easy payroll management. Moreover, security functioning enables owners to customize access based on the status of the staff member. 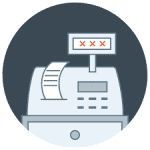 The POS setup process lets you specify which agency your tax payments should go to as well as set sales tax rates. If needed, you can set other sales tax options in your company preferences. It is also possible to create tax codes based on what items are sold and specify tax locations. Different instructions are used for each code based on where items are sold or where a customer is located. Strangely enough, there’s no function to Open a Shift and list what’s in your till at the beginning of a day. You can declare what you’re leaving in the drawer and then use these end of day reports for reconciliation when you run your end of day reports. This means that the first thing you’ll want to do with QBPOS is close the register and run an end of day report so you can have something to reconcile with at the real end of your day. This should be done before you’ve ever run a sale. From there, it gets easier. Report options are rich and detailed. They include the best and worst selling items, common returns, item and department summary, sales over time, tax and payment method summaries, item cost and quantity summaries. This POS system also provides reports on employees’ timesheets, sales, and commissions, purchase summaries, and busiest times. You can use the reporting tab to send merchant service batches to settle your debit or credit transactions and schedule important data backups to a location of your choice. All reports have a simple drill down feature for more detail into each individual sale. This feature provides a quick glance at your sales over time, best and worst selling items, and department sales graph and summary. The introduction of an app which syncs fully with your back-end managed inventory and allows you to track stock and make sales from your mobile phone or tablet is a nice addition with version 12.0. You can integrate with these devices using a mobile sync feature even though you are unable to download QBPOS onto them. You’ll need to get a “Go Payments” card reader to use this feature. Take the ROI of each POS solution as you’re comparing costs. A cheaper POS system will naturally offer fewer features than its more upscale counterpart. However, it will have the advantage of lower setup costs and processing fees. A POS terminal that integrates with your inventory system, for example, may save your staff time otherwise wasted on entering information manually. That time can be better used to take care of other duties. Today’s businesses must use data analytics to find out as much as possible about customer interactions to remain competitive. Your POS is the perfect tool for collecting this information because it tracks every sale that comes through each of your shops. You are then able to use this information to set your budget, track customer volumes, purchase inventory, and schedule staff. Security is an afterthought for some businesses. This is quite unfortunate, as it is one of the most crucial and essential elements in choosing a POS solution. In general, you have to adhere to certain standards if you process credit cards or customer names. Failure to keep that information safe could result in an expensive data breach. Not only will you suffer from reputation damage if a breach occurs, but you may also have to pay to determine the cause of the breach, as well as any lawsuits and fees that might result. You aren’t going to want to start over with a new system later, if you plan to expand your business. This is why we suggest making sure the solution you choose can grow with your business. This growth includes the possibility of covering multiple locations, if need arises. QuickBooks POS will allow you to manage multiple locations. It has great features that let you make updates and other changes to all of your systems at the same time. If you’re looking for a new POS system, a trusted brand like Intuit (which makes QuickBooks) can provide the scalability, protection, and stability necessary to run a business. QuickBooks Point of Sale’s biggest selling point is that it works seamlessly with its sister software QuickBooks. You can achieve quick and simple bookkeeping by transferring sales (revenue), inventory (cost of goods sold), and customer data (accounts receivable). Moreover, the Pro version will also transfer employee time punches for simple payroll processing into QuickBooks. You need to open an Intuit Payment Solutions merchant account to take advantage of integrated payment processing. Please note that all credit card swipes or entries get the rate of 3.94% as well as a per/authorization fee of $0.34 and this doesn’t include additional network fees. The good news is that funds are usually deposited within maximum three business days and there is no charge on cancellation. 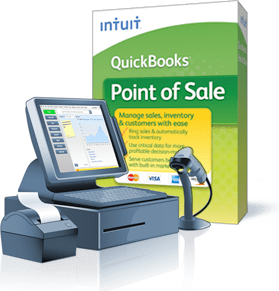 You can always keep your own credit card terminal and merchant provider and manually complete credit card sales within the QuickBooks Point of Sale system. This is a much-discussed issue when it comes to QuickBooks. We’ll start off by saying that support is not free. It costs $89.95 per month or $299.95 per year. If you sign up before completing registration of software, the first month is free. QuickBooks is actively working on improving its customer support. They realize that meeting the daily demands of your customer base is your first priority as a business owner. This means you can’t afford delays even during the busiest days of the year. Each transaction should be processed quickly without connection failures. QuickBooks Desktop Point of Sale can still accept payments if you lose internet access. These transactions will be processed once the connection is available again. QuickBooks POS can sync with your QuickBooks Desktop accounting software to reduce double data entry. It integrates with QuickBooks Point of Sale Payments. You can go without buying a tech support contract, of course. It is possible to find answers to your questions with Intuit’s online searchable help forum. 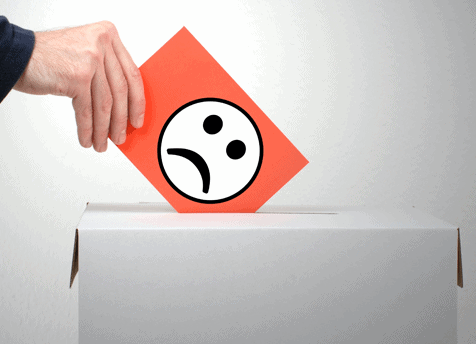 Negative comments most commonly relate to customer service issues, glitches, issues with updates, insufficient features and (lack of) payment solutions. There have been some complaints about slow and unhelpful customer support. A lot of clients are also displeased that they have to pay a large amount for this ineffective service. One major complaint is that support calls are redirected to a remote call center and that staff are often hard to understand. Some people say that after buying the Basic version and running into an array of problems, customer support tells them to upgrade to the Pro version or buy a support plan. QuickBooks Desktop’s social media pages are relatively active. They have Facebook, Twitter, Google+, YouTube, and LinkedIn accounts. These accounts are for Intuit, not QuickBooks POS specifically. The POS system has several nice help features within the software that make it easy to resolve issues. Intuit Payment Solutions: Customers complain about sudden account freezes, misleading rates, mandatory long-term contracts, and hidden termination fees. A common problem seems to be that the system may sometimes slow down or glitch out. There have been a number of complaints about general bugs and problems with frequent crashing or freezing. 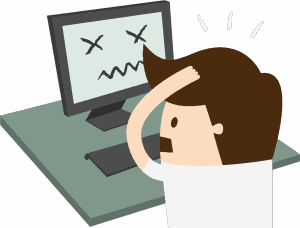 Issues With Updates: Some customers have complained about having issues when they purchased the upgrades to the new systems. Limited Features: A common concern is that QBPOS is weak or lacking when it comes to certain features, especially related to inventory and reporting. 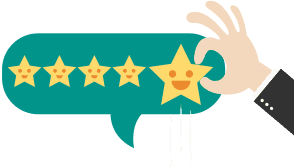 There are many positive customer testimonials on the Intuit website from as recently as last year. Intuit has been BBB Accredited since 11/1/2010, and currently boasts an A+ rating. Easy To Use: Quite a few users cite that this POS system is easy to use and it is easy to train new employees. The integration with QuickBooks is a feature many customers appreciate. They also enjoy the fact that QBPOS offers a lot of customization options. Users appreciate how easy it is to track inventory and reports across multiple locations. Pros: QuickBooks is an easy program to learn. Everybody can learn the program without much trouble. I kept the books for a small Children’s Store and was able to input data without much problems. Without being an accountant major, I did all the accounting for the company just as well, so that the owner could look at the program and see how the company was doing. Cons: I can’t think of anything that I didn’t like about QuickBooks. It met all of the company’s needs. It was easy to learn and ran all of the necessary reports. Pros: I like all the added features regardless if the features are necessary for the scenario. 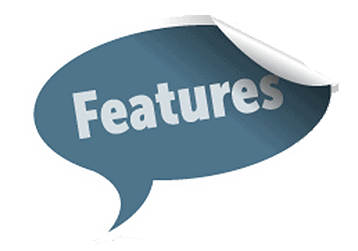 The added features enable me to pursue other functionalities on my financial statements. Cons: I do not like the all features available for all scenarios. The features sometimes created a feeling of overwhelming tasks. All in all, it is a robust system with a clean accounting record. Suitable for most small businesses. Pros: This system is cheap and includes many features other companies charge more for. 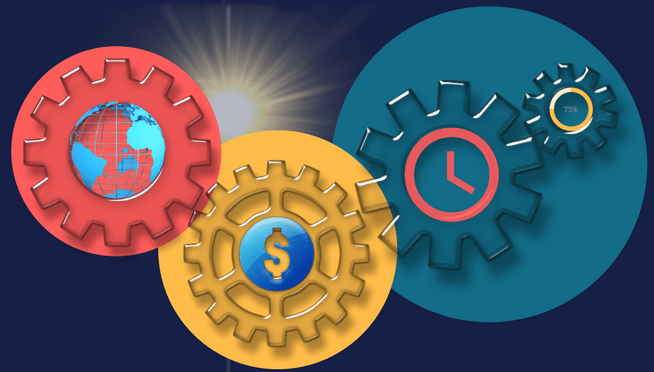 The features are just as good as its competitors with various customizable reporting available and in built time tracking. Cons: Although it is cheaper, there are instances where it shows. The system can be slow at times and there aren’t as many bank feeds to use. Pros: I like that I can link it to my bank account and then simply check it off as an expense in a category of my choice. I like the reports it generates for me around tax time and I can link up other apps with it, like a payroll app, and import my payroll. I also fancy that it is affordable – the value you receive is far greater than the price you pay for this product. Cons: QuickBooks has so many features that it is difficult to navigate through it and find everything. The first several times I used it, I struggled to find what I was looking for. Overall: The biggest benefit I get from this software is the ability to track my business expenses and create reports for tax time. Pros: The ease of use when adding categories and different income and outgo names. The software allows the user to quickly add new categories and cipher between them. Pros: The canned reports provide 90% of what I need on a daily basis for tracking sales numbers. The ability to quickly create new clients is a plus too. I Have Used Older Versions Of This Software Over The Years For Small Business Ventures. Pros: QuickBooks is a very flexible accounting package that easily satisfies the needs of any small to medium sized businesses. It’s ‘template-based’ setup makes the initial take-on of accounts simple, and various pre-configured sets of books are available to choose from to match most business models. Cons: The management of VAT was a bit tricky for me, but my accountant sorted that out easily. I think that setting the VAT up could be simplified, although those who are conversant with VAT principles will find it easier. Overall: Easy setup of accounts, particularly sales and accounts receivable. Pros: This is a perfect platform to keep your books organized. Many report are already built in but if you need something specific reports are easy to create. Plenty of memory for keeping years of data. Search option is important. I like that you can change to view to fit your type of organization. If you ever need customer service, they are excellent. Cons: Search option can be tricky. I have to put in the exact word for it to find something. Sometimes it is difficult to figure out how to make a report appear exactly as I want it to. Overall: This is the best way for me to keep all financial information in one spot. The software can handle more than one Company or checking accounts. Pros: The availability of QuickBooks Online is unbeatable. All financial information available from anywhere. Collaboration with other users is also a great feature. Cons: I wish the desktop version wasn’t so expensive! The desktop version is much more fleshed out and I prefer to control the data file locally. Pros: It’s absolutely ideal for organizing my finances and transactions. Everything is broken down clearly and organized exactly as I want it. Easy to filter, search, etc. Cons: The customer support isn’t the greatest, but I haven’t had to rely on them much as the software is so intuitive. Customer Service Is Very Helpful. I Like The Chat And Phone Options. Pros: Easy access to customer service to answer questions quickly (i.e. chat). Even during the hurricanes, customer service folks were positive and helpful. Cons: Pulling data for a specific purpose, for example, could be more user-friendly. For example, if I want to look at paychecks for a particular worker in a particular timeframe, once I click on a $ hyperlink and then ‘X’ out, it takes me all the way back to the worker list versus my paycheck search. Overall: If you are using QuickBooks Desktop, QBO allows more than 1 person to access the information. We also use QBO with our Time Management System. Pros: Widely used so it widely supported on the internet and therefore easy to find answers, hints, suggestions, and ideas online. Fairly straight forward use and can be used for simple financials or complex tasks. Cons: I am not a tech guy (or a numbers guy) so it took a little while to learn the software and what it is capable of, and how it can be best utilized for my business needs. Set up was a little tricky at first. After 2 or 3 payroll cycles I was confident. Pros: We have used QuickBooks desktop version and QuickBooks online. The transfer from desktop to online was simple and easy. We haven’t really had any complaints about either software. They have been easy to manage and helped us keep all our accounts straight. Our favorite aspect has been our bank accounts linking directly to QuickBooks. Cons: Our least favorite aspect about QuickBooks was in the transfer from desktop to online. We lost all of our attached files. When we would enter bills, we would always scan the bill in and have it physically attached to the bills entered in QuickBooks. This helped us save time whenever we needed to access files that were several years old. Now we have to go into our files and physically pull out bills, if we want to reference something. This has been the biggest inconvenience. Overall: Between the five businesses at our location, it really helps us keep everything straight. 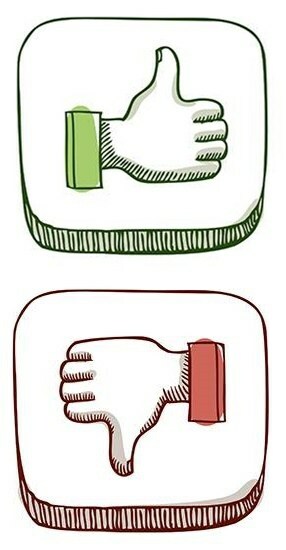 Pros: Easy to use. Has made my side business very easy to manage. Great functionality. There is a reason they lead the industry. Cons: There isn’t much not to like about the program. All of my gripes would be minimal in comparison to other programs. QuickBooks offers full integration with credit card and debit payments and cash registers and inventory. It works with QuickBooks Desktop and saves you time by having your data sync accordingly. Payment reconciliation is now available too. The system reduces the likelihood of double entries and inventory is updated when you make a sale. QuickBooks POS can handle the functions of managing your inventory, transacting sales, and keeping your books clean. However, we find the whole QuickBooks POS experience just isn’t a substitute for the newer breed of POS in the current era of cloud computing. It comes from an era of restrictive licensing, IT issues and collateral costs. On the plus side, it’s pretty easy to use and can do much more than transacting sales. Notwithstanding this fact, there are plenty of other things you’ll need to worry about that don’t even relate to the functionality of the software. The POS system will probably continue to be a fine product that suits the needs of customers who have been using it for a while and are set in their ways, or who simply appreciate its integration with QuickBooks software. POS systems and software are supposed to represent a way to make an enterprise owner’s life easier, and this is something that QuickBooks Point of Sale could be capable of. It is a step forward compared to a cash register and a paper ledger of inventory, but we find it is lagging behind its competitors in many ways. It is best suited for multiple location businesses. All in all, there may be complaints, but the company tries to resolve all issues as soon as possible, and this is why QuickBooks is an industry standard.